이 석비는 구산선문(九山禪門)의 하나인 희양산문(曦陽山門)의 개창자인 도헌국사(道憲國師) 곧 지증대사(智證大師)의 탑비로서, 비석의 크기나 귀부와 이수의 조각수법 등이 통일신라 말기를 대표하는 전형적인 양식과 기법을 보여주고 있다. 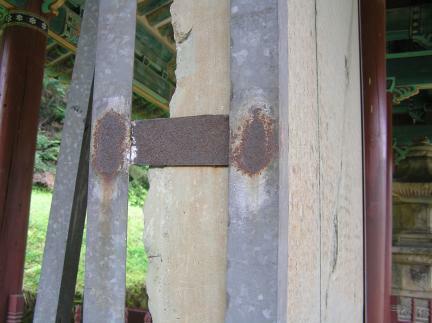 또한 비문에는 신라의 불교사를 3시기로 나누어 약술하고 도신(道信)-법랑(法朗)-신행(愼行)-준범(遵範)-혜은(慧隱)-도헌(道憲)으로 이어지는 도헌국사의 법계(法系)를 구체적으로 기록하고 있어서 신라하대의 불교사 특히 선종사(禪宗史) 연구의 중요한 1차 사료가 된다. 이 비는 당대의 대학자이며 문장가인 최치원(崔致遠)이 비문을 지은 것으로 그가 비문을 지은 대숭복사비(大崇福寺碑), 보령 성주사지 낭혜화상탑비(국보 제8호), 하동 쌍계사 진감선사탑비(국보 제47호)와 함께 4산비문의 하나로 일컬어지는 탑비로서, 그 학술적 가치가 일찍부터 높이 평가되어온 것이다. 이 비에는 탑비를 세운 연대가 밝혀져 있을뿐 아니라, 비문을 쓰고 각자(刻字)한 사람이 분황사의 승려 혜강(慧江)임이 밝혀져 있어서 한국 서예사 연구에도 중요한 자료가 된다. 저자 최치원은 여타 전기자료와는 달리 지증대사의 일생 행적을 여섯 가지의 신이(神異)한 사실〔육이(六異)〕과 여섯 가지의 훌륭한 행적〔육시(六是)〕으로 정리하고, 예를 들어가며 구체적으로 기술하였는데 이는 다른 비문에서는 볼 수 없는 전기 서술의 한 특징이다. 한편, 이 비문에는 신라 하대의 인명, 지명, 관명, 사찰명, 제도, 풍속 등 많은 정보를 담고 있어 신라사 연구의 중요한 자료가 되고 있다. 특히 신라의 왕토사상(王土思想) 및 사원에 토지를 기진(寄進)하는 절차를 알려주는 내용이 담겨 있으며, 신라 말 선종 산문의 개창이 지방 유력자의 후원에 힘입어 이루어졌음을 알려주는 명확한 기록이 비문 중에 밝혀져 있고 비 건립의 후원자 또한 명확하게 밝혀진 것도 이 비가 갖는 의의를 높여 준다. 또 사원 운영의 주체인 사직(寺職)의 구체적인 모습이 확인되는 신라 유일의 비라는 점도 의의가 크다. 뿐만 아니라 이 비문에는 백제의 소도(蘇塗)에 대한 기록이 있는데 이는 백제 소도에 대한 정보를 알려주는 국내 유일의 기록이다. 이상에서 열거한 바와 같이 이 탑비는 고비(古碑)로, 지증대사의 전기자료적 가치는 물론이고, 한국고대사 특히 신라선종사·서예사·한문학사 등 한국고대문화사 연구에 중요한 가치를 갖는 탑비로 평가된다. 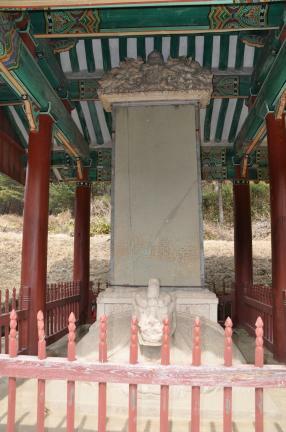 This stele was erected in honor of a great Buddhist monk named Jijeung (also known as State Preceptor Doheon). 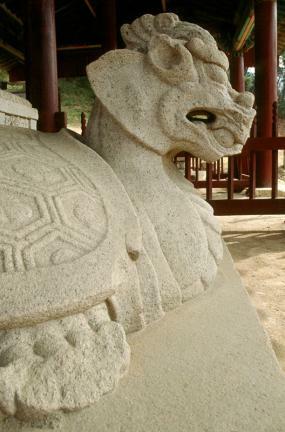 The size of the monument and the carving technique are representative of the late Unified Silla Period. 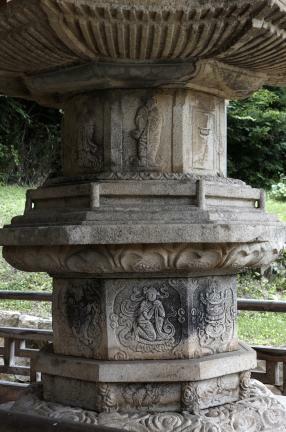 The stele summarized the history of Buddhism during the Silla Period, dividing it into three periods. 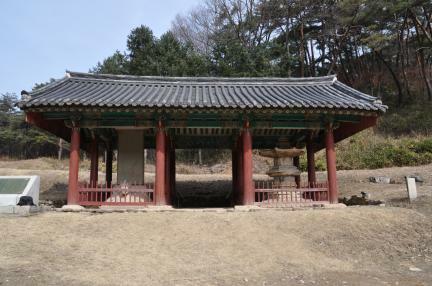 It also contains the religious pedigree started by Jijeung. 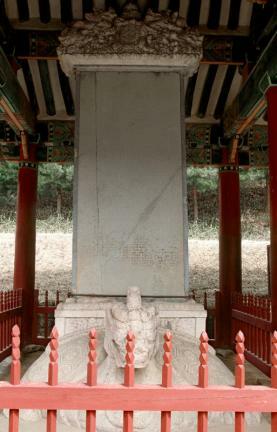 The epitaph of the stele was composed by Choe Chi-won, one of the greatest scholars and writers of that time. 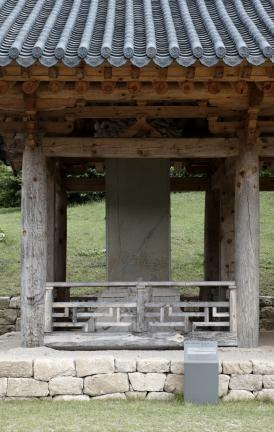 This stele is said to be one of the four most valuable monuments in the mountains whose epitaphs were composed by Choe Chi-won; the other three are: Daesungboksabi in Chowolsan Mountain, Gyeongju; Stele for Buddhist Monk Nanghye at the Seongjusa Temple Site, Boryeong (National Treasure No. 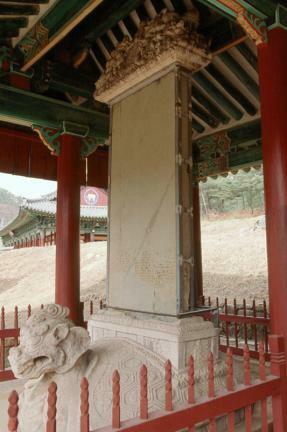 8), and; Stele for Master Jingam at Ssanggyesa Temple, Hadong (National Treasure No. 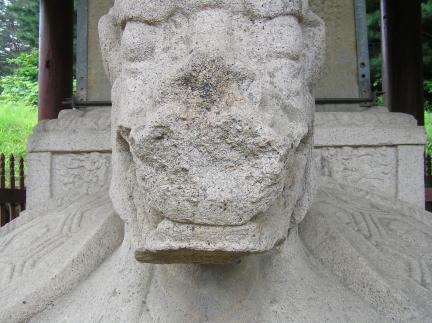 47). 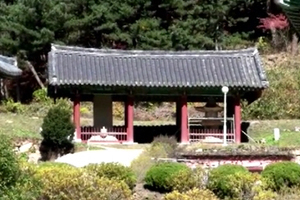 The stele says when it was erected, and the epitaph letters were handwritten by Monk Hyegang of Bunhwangsa Temple. 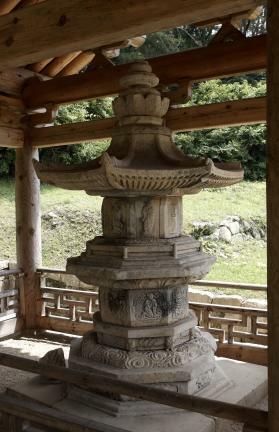 Thus, it also serves as important material for those studying the history of calligraphy. 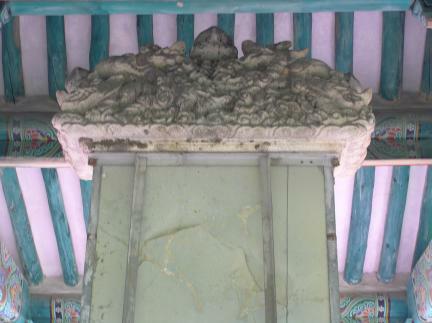 An important characteristic of this stele is that the composer wrote about the life of Jijeung based on six marvelous facts and six great deeds. 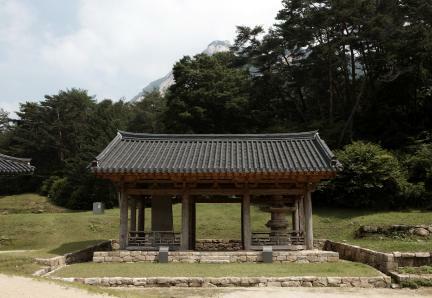 The stele is also regarded as a valuable material concerning the history of Silla, since it contains plenty of information on the names of people, places, local offices, systems, and customs. 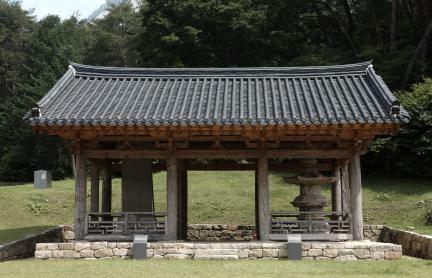 It says that the Zen Mountain Sects prospered with the support of an influential local at the end of the Silla Period. 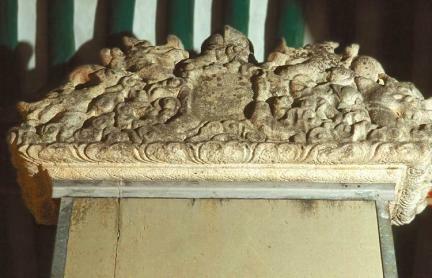 It also discloses the details of those in the organization who played a central role in the operation of a temple. 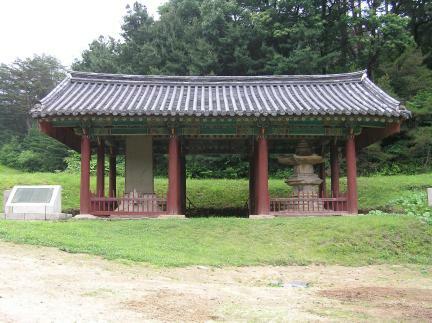 The stele is the only source of information left concerning a sacred area called sodo in Baekje.